It has been a long journey for the Deep Space Climate Observatory (DSCOVR). Once known as Triana, the satellite was conceived in 1998 to provide continuous views of Earth, to monitor the solar wind, and to measure fluctuations in Earth’s albedo. The mission was put on hold in 2001, and the partly-built satellite ended up in storage for several years with an uncertain future. In 2008, the National Oceanic and Atmospheric Administration (NOAA), NASA, and the U.S. Air Force decided to refurbish and update the spacecraft for launch. On February 11, 2015, DSCOVR was finally lofted into space by a SpaceX Falcon 9 rocket. 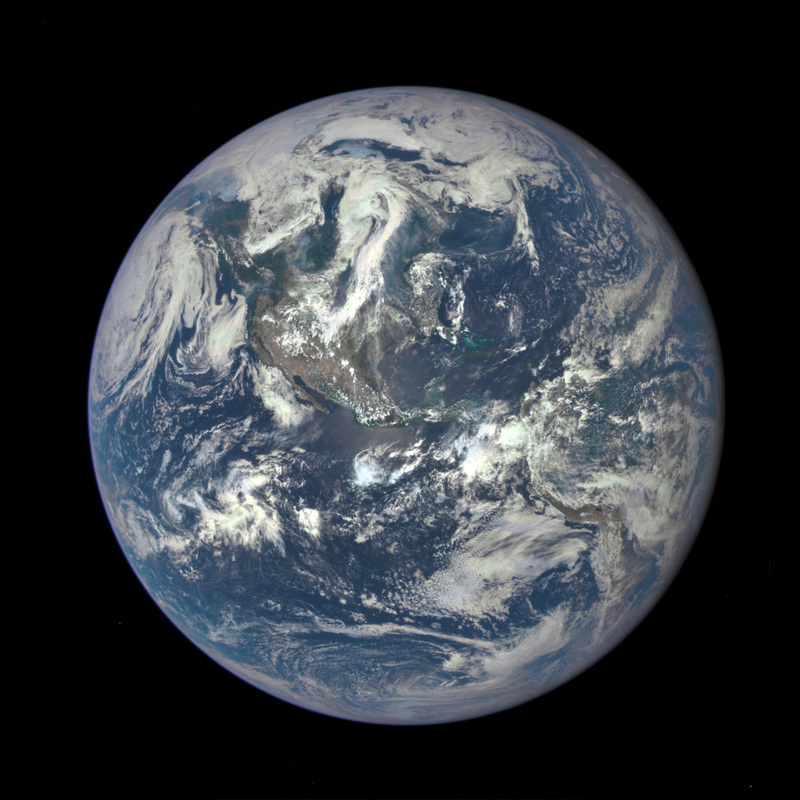 After journey of about 1.6 million kilometers (1 million miles) to the L1 Lagrange Point, the satellite and its Earth Polychromatic Imaging Camera (EPIC) has returned its first view of the entire sunlit side of Earth. 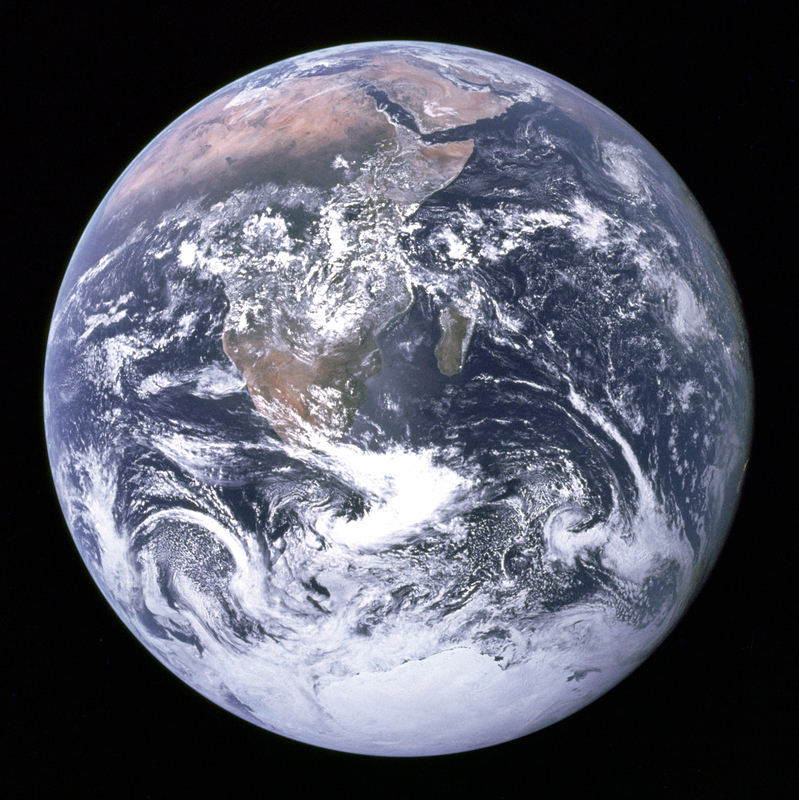 It has not been possible to capture images of the entire sunlit side of Earth in a single photo since the Apollo 17 astronauts captured the iconic Blue Marble photograph in 1972. While NASA has released other blue marble images over the years, those have mostly been mosaics stitched together with image processing software and not a single view of Earth taken at one moment in time. There are almost Seven and a half BILLION people on that beautiful blue ball, kind of gives you a sense of perspective doesn’t it? 1 Comment on "NASA Releases EPIC New View Of Earth From A Million Miles Away"
Ummm… I am sure that solar wind is not going to arrive at the speed of light, but I don’t believe you’re going to have an hour’s warning, either. An hour’s notice means the solar wind — which is mostly charged particles — would be traveling at one tenth of one percent of the speed of light, about 300miles/sec, which is disgustingly slow for any atomic particles. I would suspect the ACTUAL max warning would be something on the order of 2-3 minutes. And that’s assuming the satellite itself doesn’t get fried by the storm.